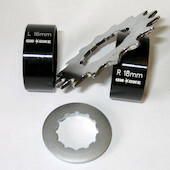 Tough, solid lock-on clamp with a durable central grip that won't rip your hands to shreds when riding without gloves. 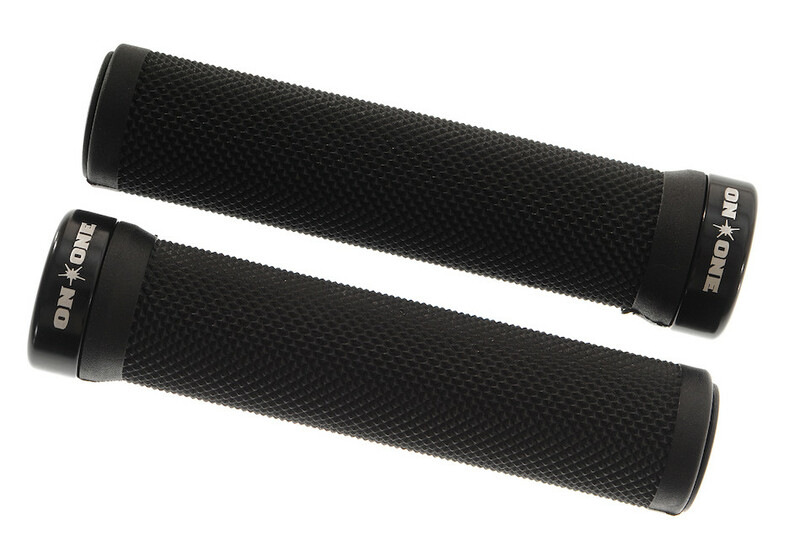 Our On-One Half Bob On Lock-On Grips are everything you want a mountain bike grip to be - a tough, solid lock-on clamp with a durable central grip that won't rip your hands to shreds when riding without gloves. The sturdy lock-on clamp keeps things in place, while a knurled palm-friendly rubber grip (similar to ODI Ruffian lock-on grips) prevents hand slippage in wet conditions. Available in three colours and includes plastic bar end plugs. Convert your geared bike into a single speed machine and experience a different kind of riding!